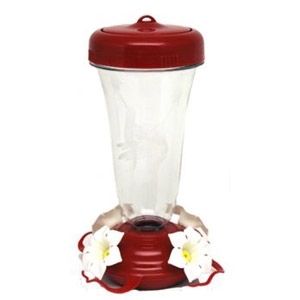 Top fill humming bird feeder. 20 oz. Shut off lever for fill or feed mode. Unscrew cap for easy filling. 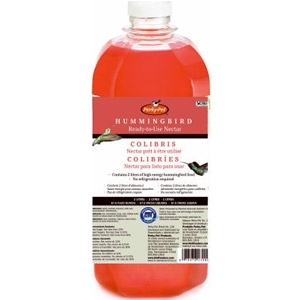 Durable clear plastic container with 4 feeding ports. 64 oz. RTU Nectar. 100% sucrose, ready to use bottle. 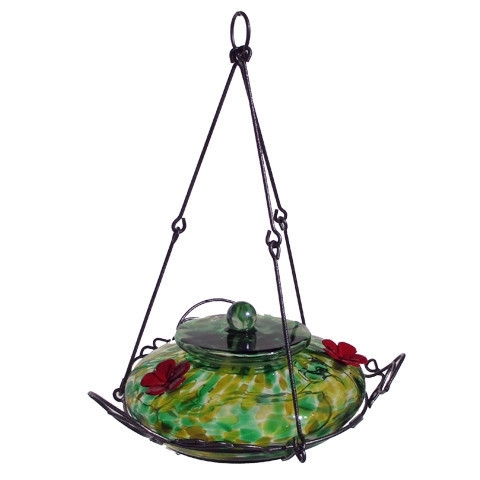 This Garden Hummingbird Feeder is made from beautiful, thick hand-blown glass. IT's easy to fill & clean.